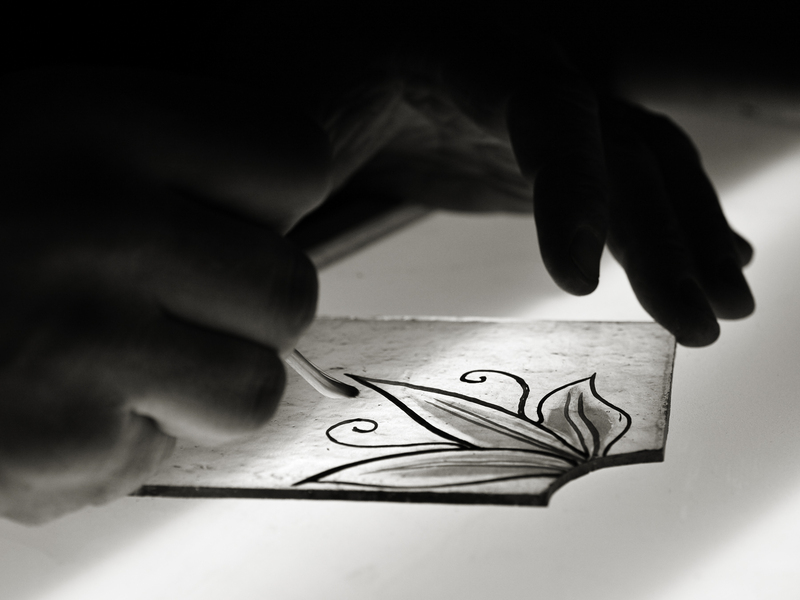 A. I am a stained glass artist, with interests in restoration and contemporary stained glass. A. I first started working with glass in August 2002. A. I was initially taught at an evening class, by Linda Lees-Hyslop. 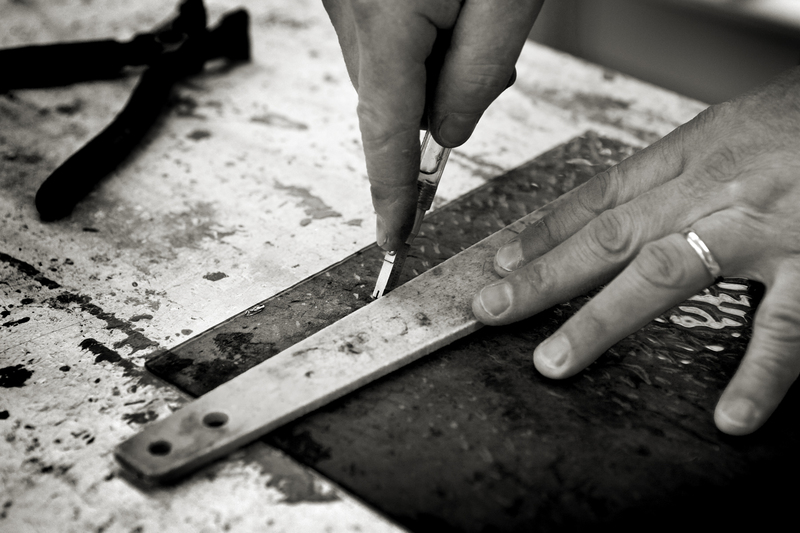 I was relatively proficient at the basic hand-skills, and had a commission after my first term of lessons. A combination of circumstances led me to start working professionally after less than a year of part-time tuition. Not according to most builders. The most common refrain I hear from clients is that they were told “Nobody does that anymore…”. 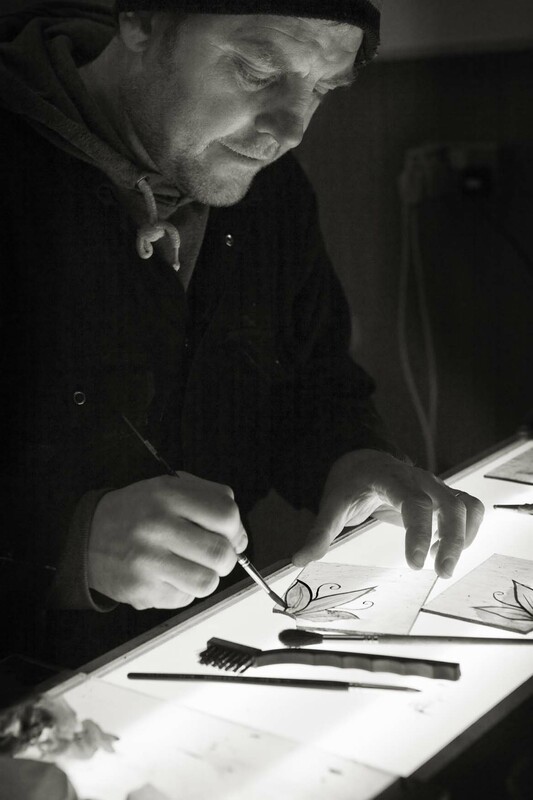 I was lucky to be mentored by Michael Zappert, the Aboyne-based stained glass artist and restorer. 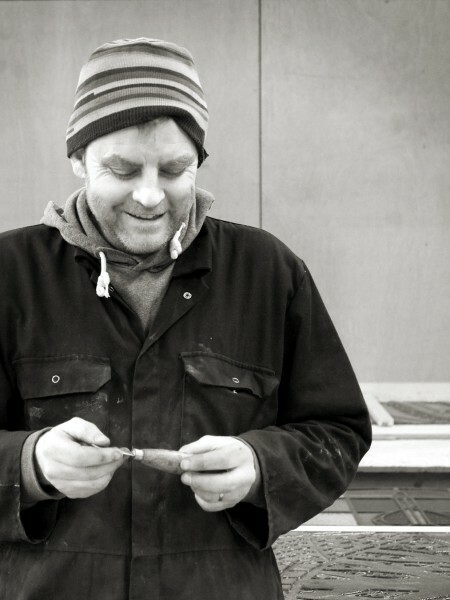 Michael, in turn, was informally apprenticed to Martin Farrelly in his Kincardine O’neil studio. 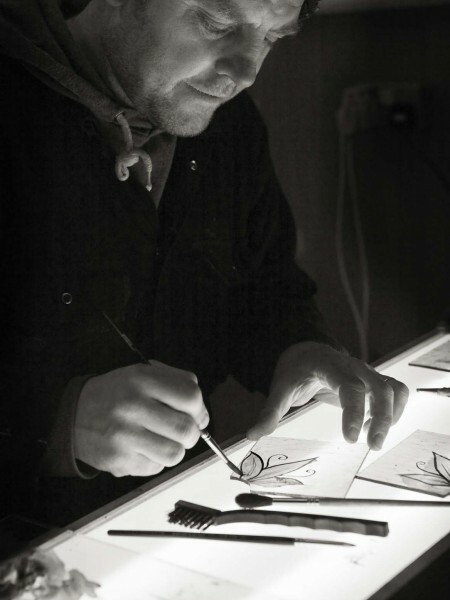 Martin was formerly head glazier at Pluscarden Abbey before starting his own studio, trained at Whitefriars in London, and retired in 2010. 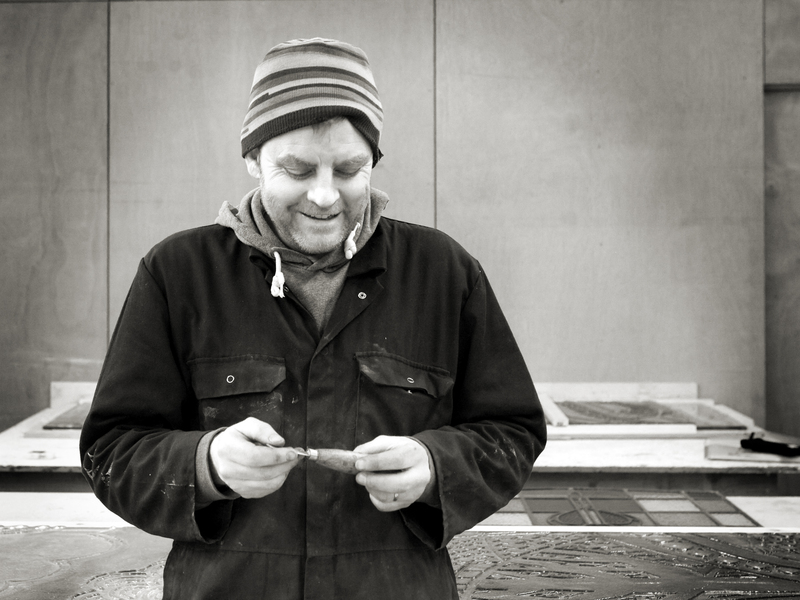 Michael is still carrying out both new commissions and restoration work. 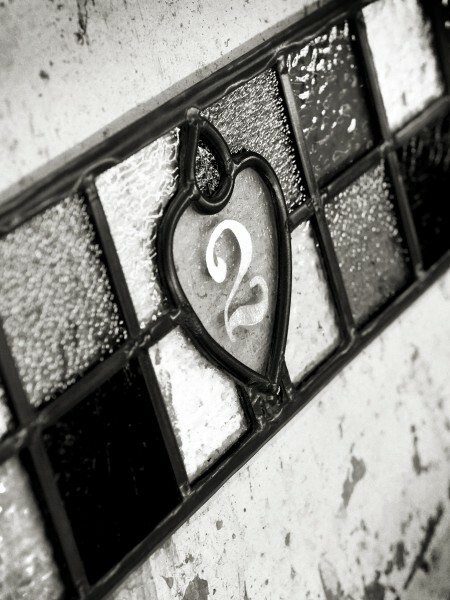 Three smaller studios (William Stables (Banchory), Dolphin Glass (Insch) and Mari Ewen (Newtonhill)) have closed in the last few years, but one new studio has been started up in Aberdeen as a result of the closure of AC Yule, the large glazing firm. 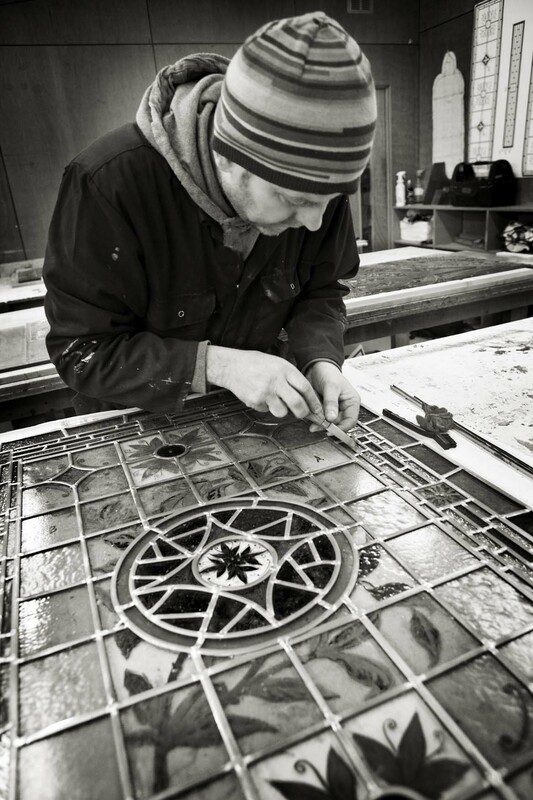 There is also a stained glass business based in Hatton of Fintry run by Jane Bayliss. 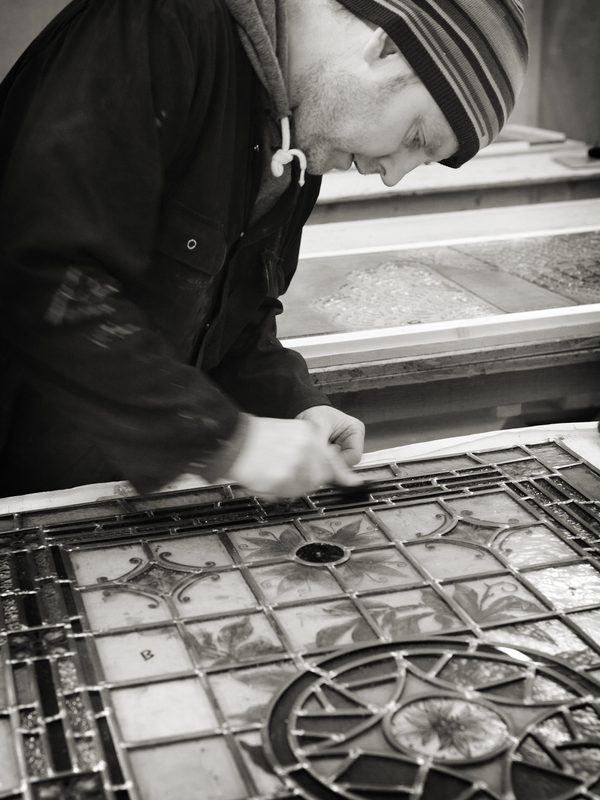 Traditional glaziers also carry out some leaded glass work, but tend to use decorative glass for convenience. 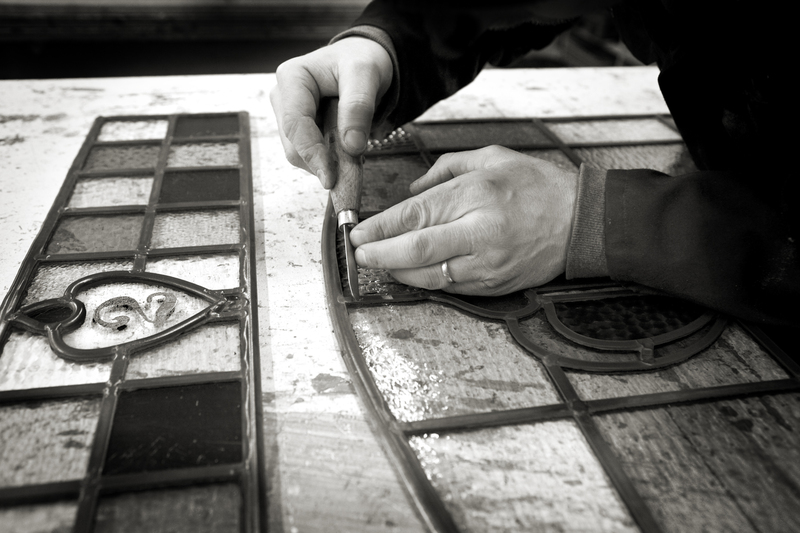 I also supply specialist services to glazing firms who no longer have staff trained in stained glass. A. 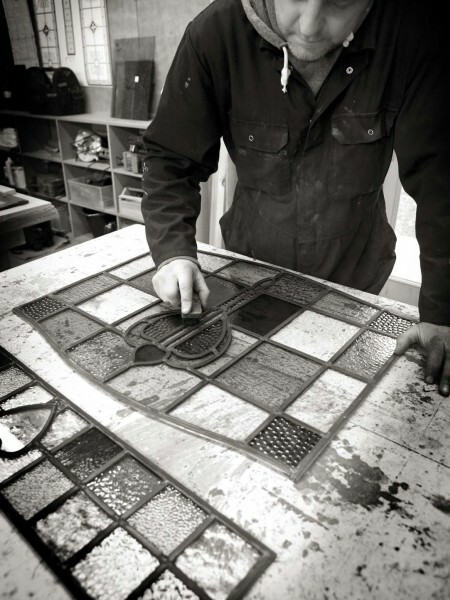 There is little domestic stained glass in the Aberdeenshire area, but domestic properties with stained glass make up a significant part of the built environment in Aberdeen itself. 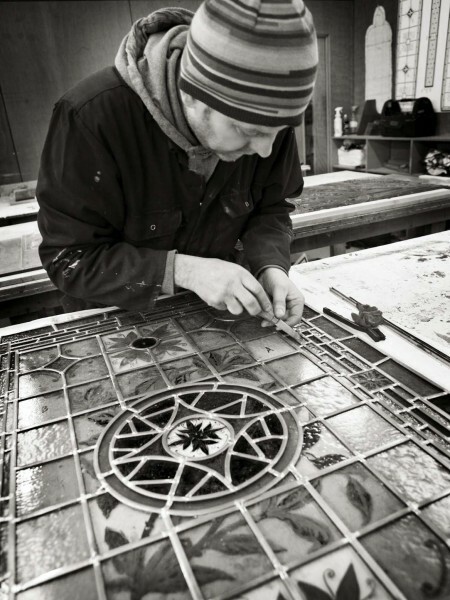 Non-secular buildings which contain stained glass continue to see falling numbers of parishioners, and stained glass, unfortunately, is rarely considered in this area as an option for artworks in new-build developments. The number of practitioners is falling slowly over the years, but since the overall amount of glass is also decreasing (modern alternatives to stained glass tend to be installed, even in listed buildings) the loss of the skills may not affect many building projects. A. 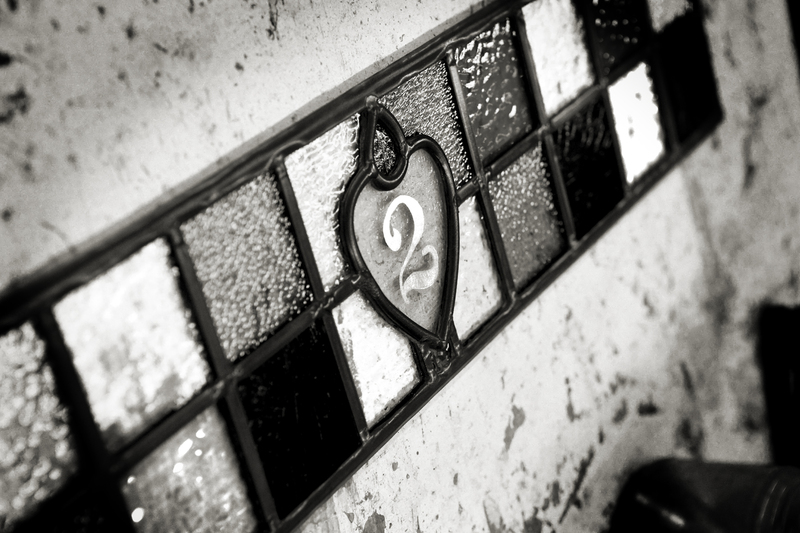 There has been an increased appreciation of domestic glass by householders at the same time as stained glass has fallen out of favour as a medium in public commissions. Increased emphasis on “architectural glass” (screen-printed, kiln-formed, fused and cast) by commissioning bodies means that many glass studios will have to carry out fewer stained glass commissions, more restoration and repair work and offer a broader range of glass-related techniques than 40 years ago. Larger studios are less common, and many practitioners will work as sole-traders or 1/2 person studios. Very few church commissions are on offer, and these tend to go to established practices from the Central Belt. A. I suspect smaller studios will struggle to survive, and that the skills required to repair windows may become concentrated in a few studios. Many churches will close in the next 10-20 years, and the buildings will be re-purposed. 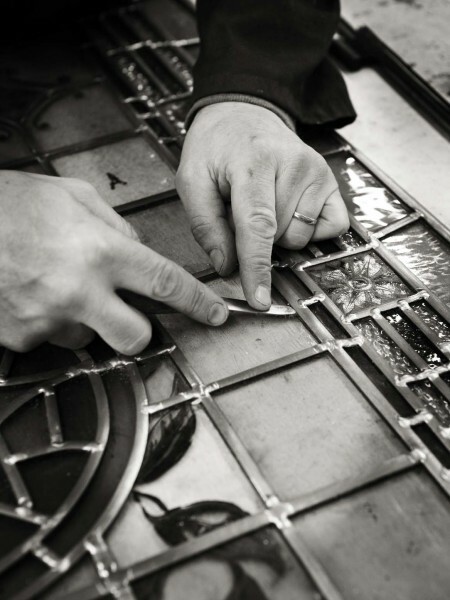 Potentially a lot of stained glass will be lost, because the cost of repair is too high and builders will always take the easy option and replace stained glass whenever possible. 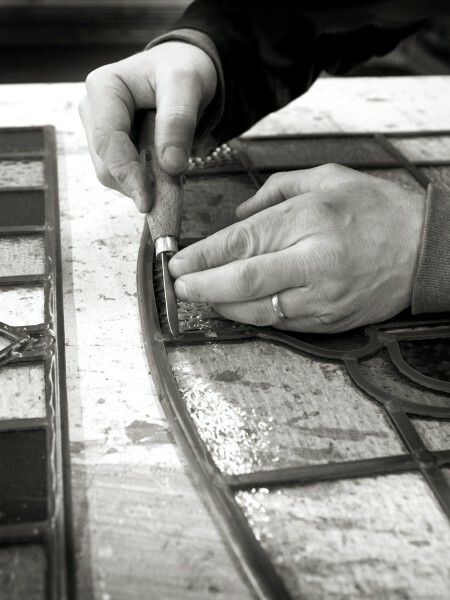 High end restoration will be carried out by two or three large studios and new commissions will be given mainly to established artists, who will have their windows made by larger studios, often outside of the UK. 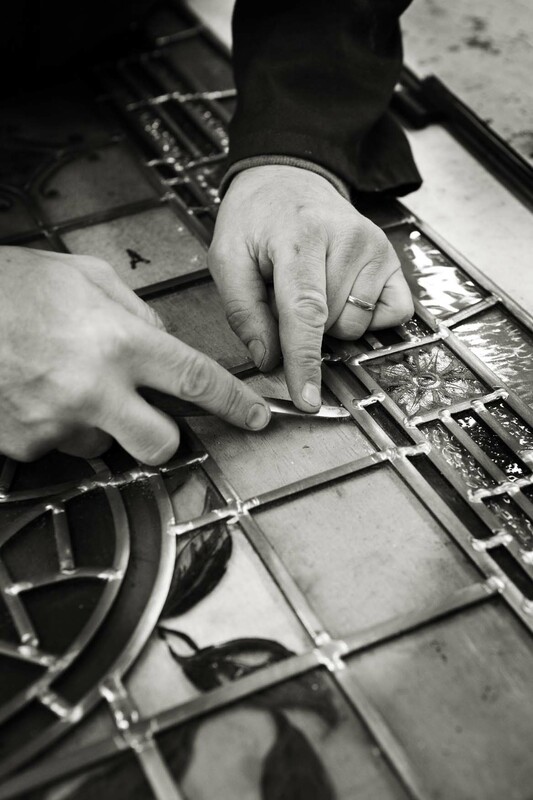 Domestic stained glass will continue to be appreciated, and a proportion of home owners will pay to maintain and retain their own glass. A. I’m not sure about how important it is, but I do know that it is not happening. The majority of students on my class are over 50, and are not interested in learning a craft, only to make a one-off panel. 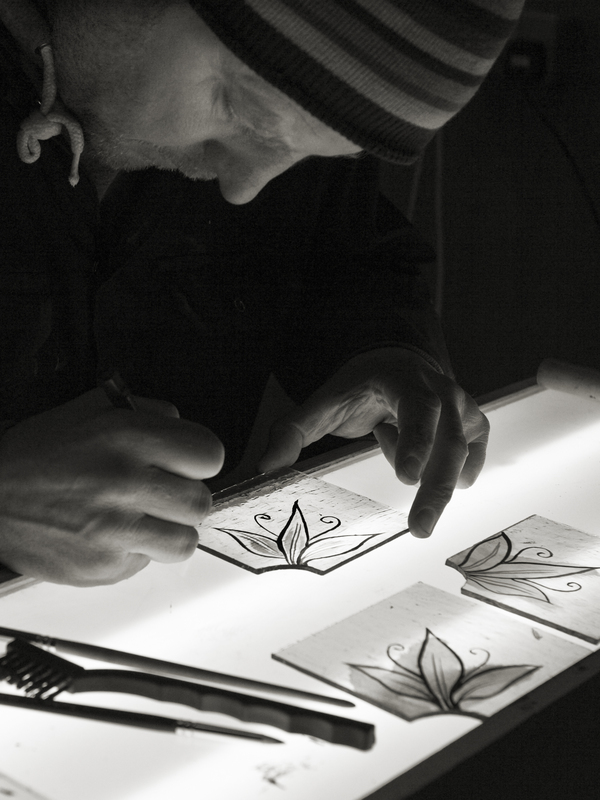 I’ve taught around 20-30 students a year for the last six years, and I know of only one who is making stained glass as part of his living. 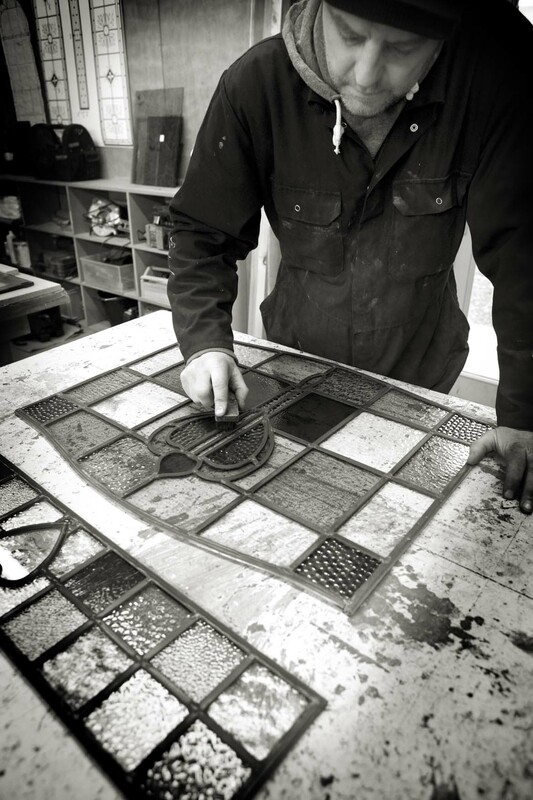 Stained glass is no longer taught at Art School in Scotland, and restoration is only taught at two or three establishments in the UK. A. The biggest change would be for people responsible for commissioning public art in Scotland to consider stained glass as a medium, as it is in almost every other country in Europe. 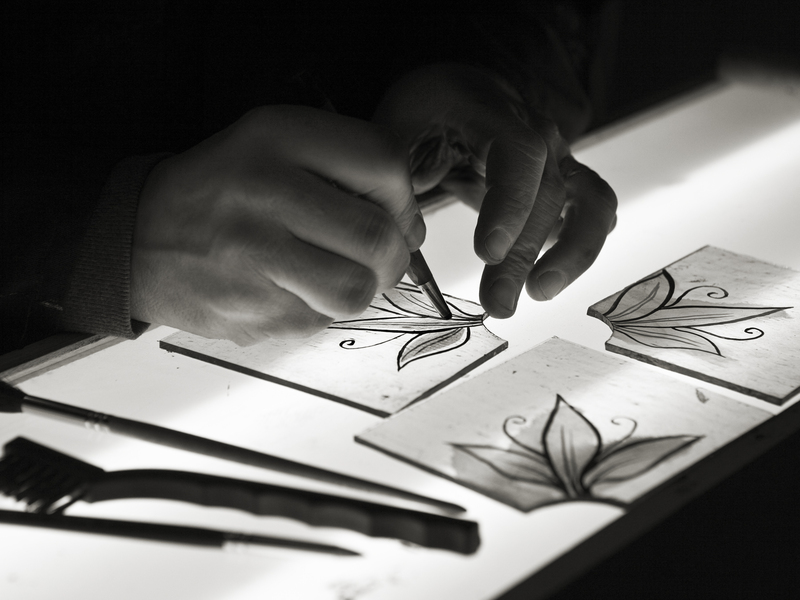 That way students would be encouraged to work in stained glass, and skills would transfer to people who will use them. 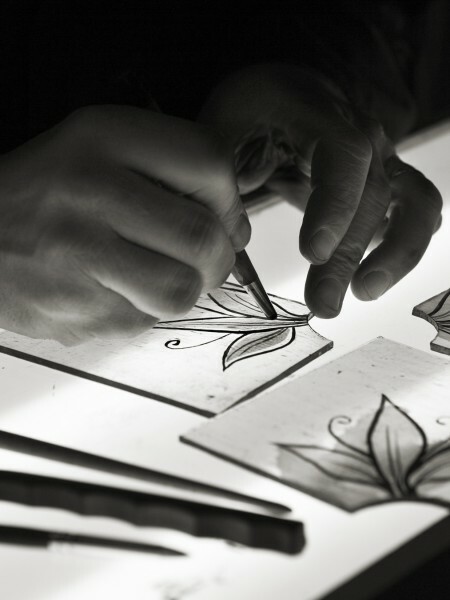 A reintroduction of stained glass teaching at Art Colleges would then become viable. A. I have one assistant who has been working part time with me for 2 years. Due to the nature of my business, she is self-employed with other jobs and I sub-contract work to her on an ad-hoc basis. A. From the perspective of being skilled enough to make things with my hands, I don’t think so. It may have lead me to a lifestyle in which I experience certain things I wouldn’t have otherwise, but you could argue the opposite, that because of things I have experienced, I’ve managed to become skilled enough at what I do to make a living. 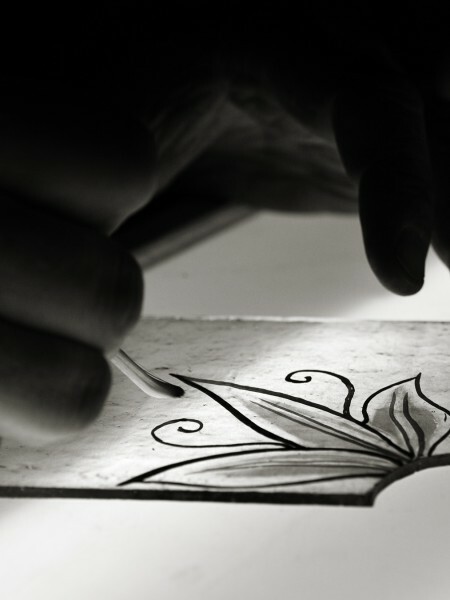 Two people with the same skill, or even two people skilled in similar crafts will always view the world in different ways. I can watch a plasterer finish a wall, or a plumber braze a fitting and appreciate the skill involved, not because I personally work with my hands, but because it’s obvious that what these people are doing is difficult and they are making it look easy. A. I don’t know. I’ve written code and HTML for almost 20 years, so have a deeper understanding of what can be done using computers, and how to do it. I’ve used e-mail (or variants of it) since 1988 and don’t really have much of an appreciation of what work was like without the internet. Broadband simply makes things happen faster. It’s probably like asking someone in the 80’s how the telephone had affected their work! I would say that digital photography has played a much bigger part, as that changeover impacts many aspects of my practice, from field based note taking to site surveys. A. E-mail. Point of Contact. Business website. Cloud storage. Accounting. Advertising. CRM. Sales. Goofing Off. Inspiration. Research. Teaching. Project management. Promotion of Stained Glass. Digital Archiving. Photo Library. Not necessarily in that order! A. The main satisfaction for me is that I get to make things with my hands. I take a pile of materials and turn them into something more than a sum of their parts. Having worked as an academic for ten years after completing my PhD, I found the physical aspects of my job (things like mending outboard motors on fieldwork in Greenland or fixing leaks on an SEM vacuum system in the lab) far more interesting than the pimping of ideas to get a grant to write a paper to get a grant to write two papers. The financial aspect of my work is relatively unrewarding, in that I pay myself a minimal salary and reinvest much of the income in materials and in training an assistant. 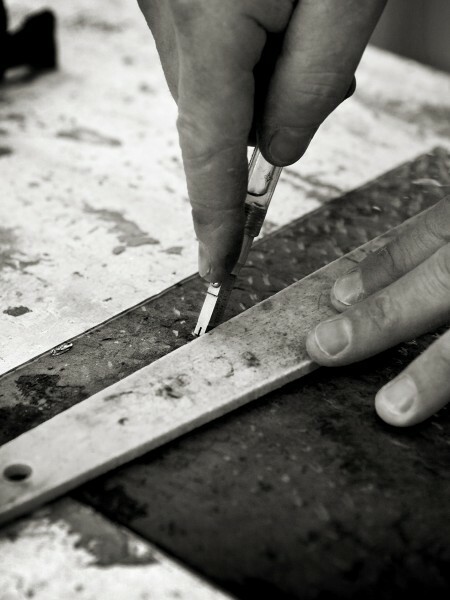 The flexibility of the work, however difficult that is to quantify, is immensely useful to our family. As much of the work I do is on a six – eight week cycle, and I run ten or so projects at once, I get to complete 30-40 projects year a year. There is a feeling of accomplishment when a project ends, as a window is installed, certainly, but probably no more than in a lot of other fields.